In 2016, Belarus’ national carrier, Belavia, outperformed its passenger traffic target. Its traffic growth hit 19.1% compared to the previous year, to 2.5 million passengers, according to the country’s Transport and Communications Ministry. Last March Belavia’s general director Anatoliy Gusarov forecasted that the annual growth would be within 13-15%. The main growth driver is the increasing transit traffic between Russia and Ukraine, which suspended direct air connection in 2015. The growing significance of the transit flow through Belarus is undermined by the fact that the share of transfer traffic through Minsk last year increased from 36.6% to 40%. The total traffic through the country’s airports at the end of 2016 stood at 3.5 million passengers, up 22.2% yea-on-year. It’s safe to assume that contribution of regional airports (Brest, Gomel, Mogilev, Vitebsk and Grodno) was insignificant. In 2015 they handled just 92,000 passengers. 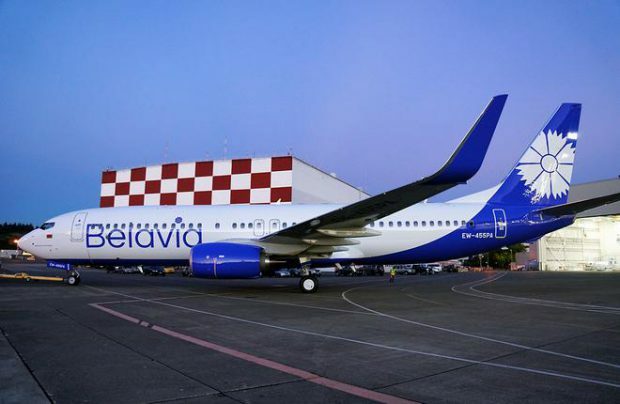 Belavia’s development strategy is aligned with the growing transfer flows. According to the ministry, the number of flights between Minsk and Kyiv, Lviv and Odesa (all three in Ukraine), Almaty in Kazakhstan, Ashgabad (Turkmenistan) and Batumi (Georgia) increased noticeably. New destinations to Palanga in Lithuania and Zhukovsky in Russia are also gaining traction. Cargo volumes carried by Belarusian airlines increased by 68.7% to 48,200 tons. But considering that cargo traffic handled within the country stood at just 17,300 tons (up 3.4% year-on-year), the major part of the reported cargo was carried outside Belarus. There are five airlines registered in Belarus that focus entirely or mostly on cargo- Grodno, Transaviaexport, Rada, Genex and Rubistar.